If you’ve been wondering what your smile might look like with straighter teeth but are intimidated by the process of metal braces, Dr. Ana Brightleaf is happy to announce smile straightening with innovative Bioliners clear braces. With nearly invisible Bioliners, you can get great results without the hassle of metal brackets. 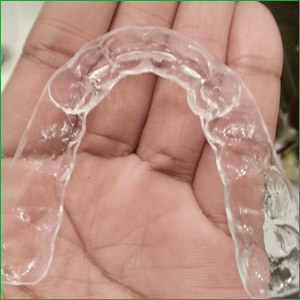 Similar to Invisalign, Bioliners gradually straighten teeth with clear aligners and a more affordable price tag. That means no clunky wires and uncomfortable tightening sessions. Even better, the Bioliners clear plastic aligners are removable, so you don’t have to worry about giving up the foods you love. Many Santa Monica patients are enjoying the benefits of clear braces with customized treatment from Dr. Brightleaf. We can design a Bioliners plan to help you reach your achieve your aesthetic goals and restore a healthy, properly aligned smile. First, Dr. Brightleaf will perform a smile evaluation to determine your exact tooth straightening needs. Using this assessment and impressions of your teeth, the Five Star Orthodontic Labs will custom craft your series of Bioliners. Each set of seemingly invisible plastic aligners is worn for two to three weeks to gently shift your teeth into the ideal position. Treatment generally involves several rounds of Bioliners followed by the use of the Bioliner Plus for an additional week or two. Overall treatment time varies by individual, but Bioliners typically achieve the desired results in less time than traditional metal braces. Bioliners clear braces have the obvious advantage of being aesthetically pleasing and virtually unnoticeable. They’re also comparatively comfortable and easy to fit into your lifestyle. 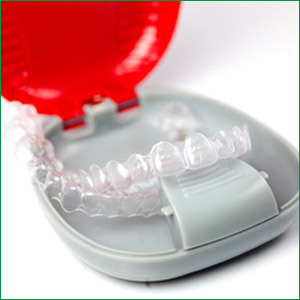 With Bioliners, there are no wires, no rubber bands, no cuts on gum tissue due to sharp edges. Unlike metal braces, you can remove your aligners to eat, brush your teeth and floss. By straightening with clear braces, you can improve your bite and enjoy better overall dental health. If you’d like to learn more about the effective straightening power of Bioliners, please contact Brightleaf Dental in Santa Monica, California, to set up a personal consultation.